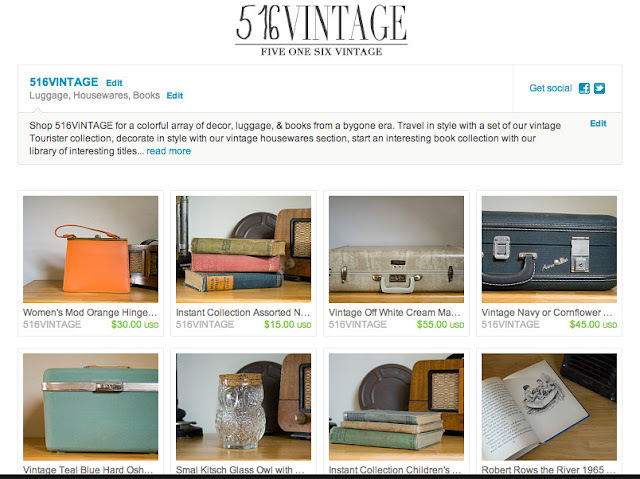 With the launch of the 516VINTAGE shop here in the next coming weeks (read the story here), I feel like I am struggling to get by with my other endeavors....the Five Sixteenths shop mainly. I have a load of cool items, lovely handmade things....and no sales (well, some sales). I've struggled with consistency, photo quality, etc. I think, to sum it up, I struggle with a look. For the vintage shop, I think we've got a look down & it was pretty simple: 516VINTAGE is about curating collections through story telling so, when taking pictures, I tried to tell a story. Staging the photos was so fun & making little vignettes that put the items in a place made sense. For the blog, I've got a pretty branded look - it's well designed yet playful & I really like how it looks over all and how it compliments my content. But for Five Sixteenths shop......I struggle with coming up with a cohesive shop look. The sense of home & collection in Anthropologie is amazing! Love it! I also want to seamlessly blend the blog design elements in the shop with the real, tangible things. For this I look to the Red Velvet shop for some help. I don't know how they do it but blending web & real life so effortlessly is something I admire! 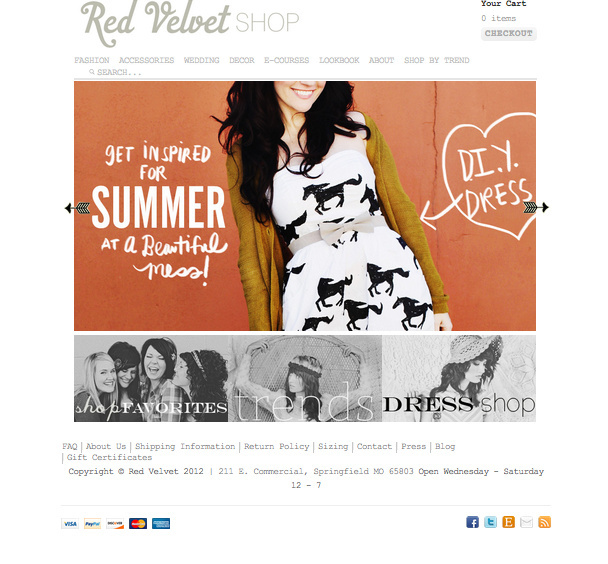 I've actually been taking the Dream Job E-Course offered through Red Velvet & have a better apreciation for the way their online shop looks now. It's clean & simple and can grow with them. This is something I really, really want to finally settle on! I've actually tried to gear my logos/headers/etc towards this look of simple. Again inspired by the Red Velvet shop + Anthropologie's shop. Sophisticated boho chic...i guess. 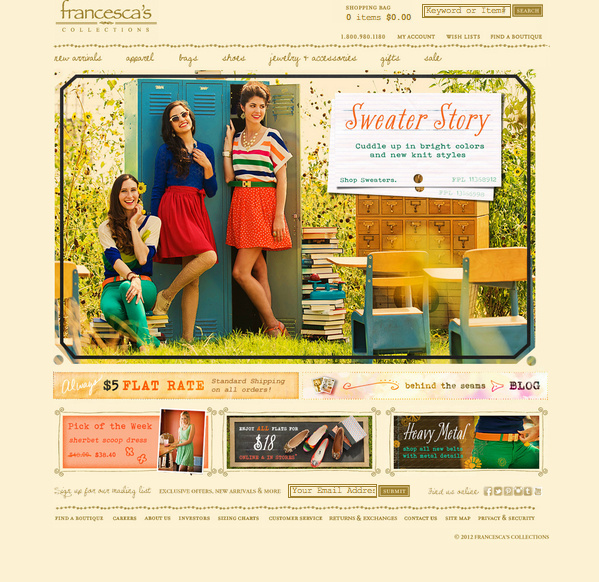 Another shop I dig online & in stores is Francesca's. Again with the boho chic-ness. Just an overall house, home, clothing, accessories, etc store where everything comes together in a seamless fashion. I know that photos are half of it but I just can't get that consistency! With going through the Dream Job E-Course & following the A Beautiful Mess blog every day I've gotten excited about a lot of things. I really can't wait for Elsie to share more about her color story process because that just looks so fun & a great way to start thinking about colors. I really need to focus on the style of the shop & hope that I can figure something out here soon. I just have to remember to go my way & not lead into something else!! Have any tips for branding or keeping things cohesive? let me know! It's awesome info though isn't it? Like you, I sell a variety of things in my store and it's hard to get any consistency going therefore. Keep us posted if you have any brainwaves! I have some suggestions/ideas for your Etsy shop. With your jewelry listings, is there a way you can incorporate your pottery in to it? Like have your earrings hanging off a bowl? It might help make things look cohesive. 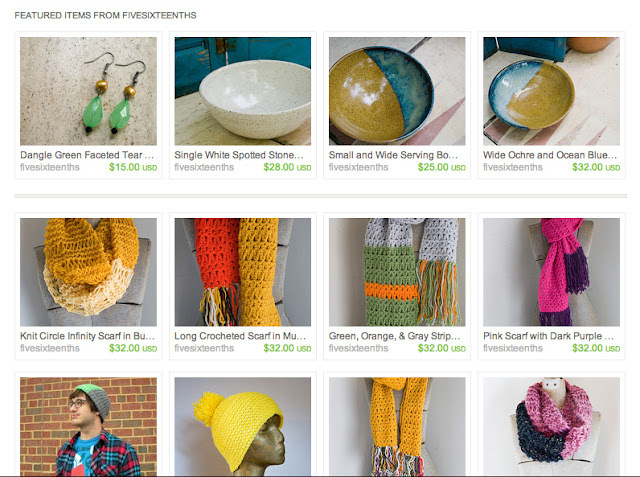 I didn't go through all of your Knitwear listings but the ones I did see all have the same photo - using the mannequin which is fine but again, you should try to do one "Artsy" photo with your scarf casually laying on a table with one of your pots in the background - think Anthropologie catalog! :) You can tell a story with those items too.